You want to convey a message during your seminar? We give you an original way to do it thanks to this artistic team building! You will feel like a cinema star. Material needed: An indoor space where you can set up a screen, a videoprojector, and microphones. Plan 1h30 of setting up. 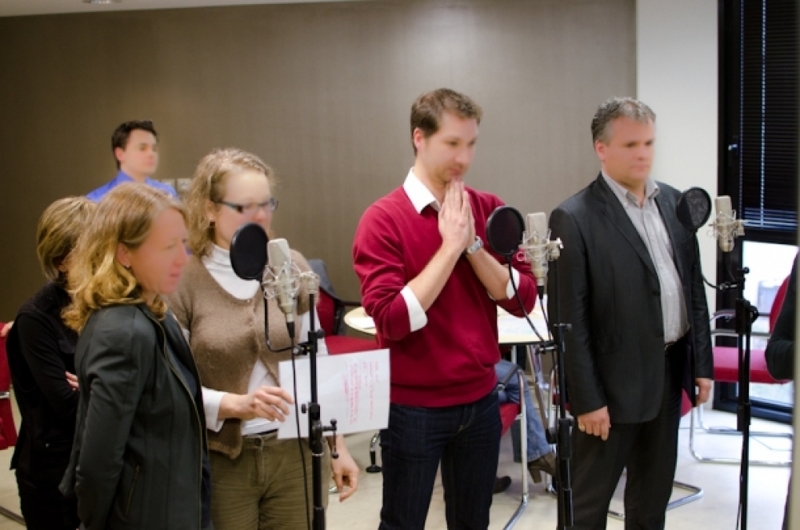 The dubbing workshop is a unique opportunity to have an original and uncommon teambuilding. 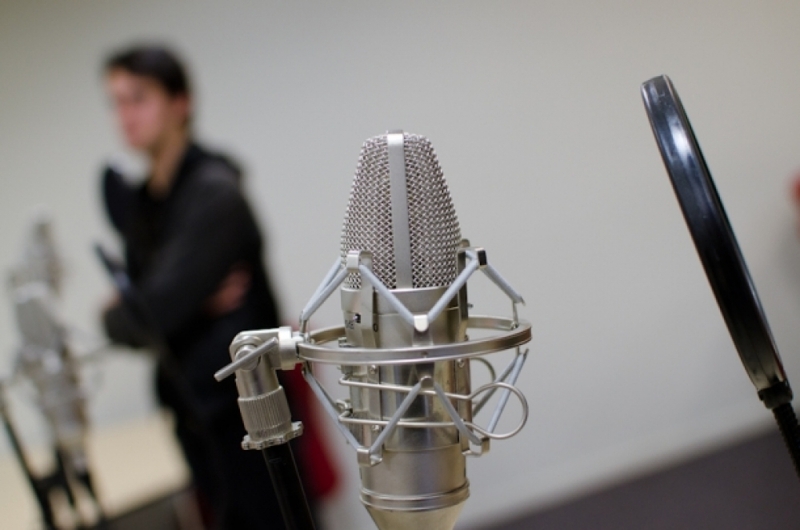 Easy and fun, this activity will bring you on the other side of the stage to make you discover the dubbing jobs, unknown from the public still essential in the cinema world. At first, let's your imagination go wild to adapt a conversation extracted from a culte movie to a company situation. Then, your voice goes on stage: do not spare the effects you will give to your voice, accents, moods and feelings... And you will quickly be converted to this game where the words are gold! Great atmosphere and memories at the end! First, the animator gives a short explanation of the goals: the firm questions are often given into a scenery conversation, with a movie extract as base. Divided into different workshops of 10 people, the participants will work on a sequence. Each group has a different sequence. They are given papers with the original text of the movie. Second step: Adapt your ideas and the text to the lenght and movie style. Third step: Record the dubbing! One after the other, the participants take the mirco. Have fun reading your text while the images pass before your eyes! Great moments guaranteed! The voices are recorded and the participants can listen to them... just after the record or during an event like a seminar in order to extend this great activity and atmosphere!